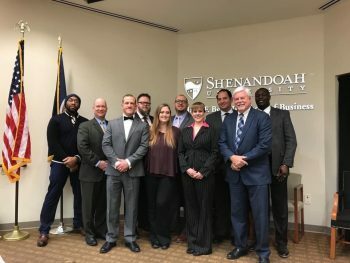 The Northern Shenandoah Valley Community Veterans Engagement Board serves Veterans and their families with a focus area of the City of Winchester, Frederick County, Clarke County and Warren County, but does not limit assistance or networking based on location. Since the board was formed they have held four events, 10 board meetings and four joint meetings with Joining Community Forces (a community collaborative held quarterly in the region by the Red Cross). 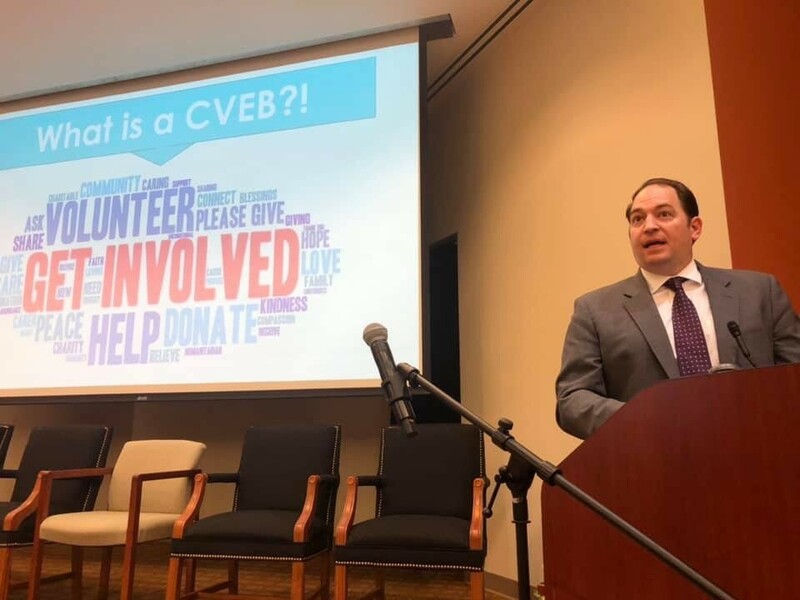 Lee Becker, Navy Veteran and chief of staff for the Veterans Experience Office, spoke to the group about the mission of community engagement boards and how their partnership with VA is so important to improving the overall Veterans experience. 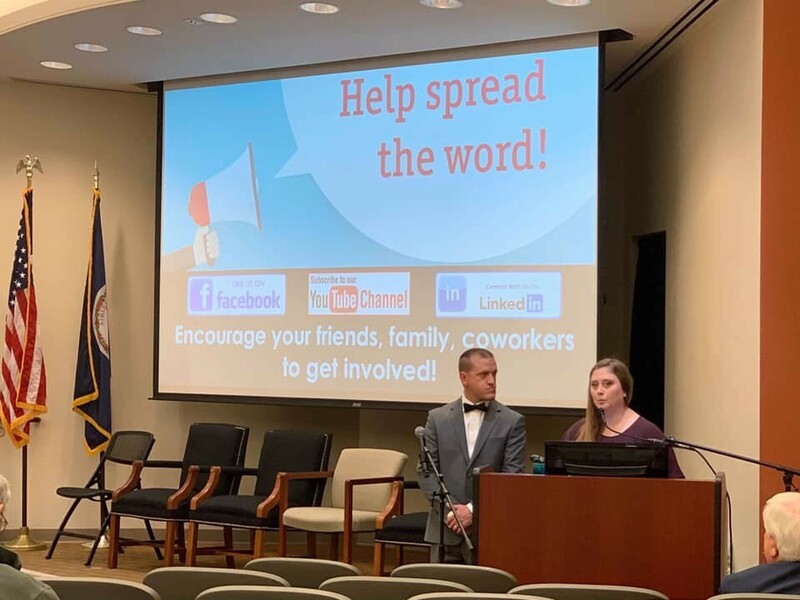 Lee Becker (shown left) spoke to the community board about the importance of their role, along with updates from VA concerning the customer experience and other advances from the Veterans Experience Office. The board also discussed the publication of a resource guide issued by the Community Veteran Engagement Board Task Force, a group of more than 40 representatives from local community groups, national veteran-serving organizations and VA. The board task force was composed primarily of members from local board groups, which are volunteer teams of local Veterans, advocates, Veteran-serving organizations and other civic leaders based throughout the country. The resource guide offers recommendations on how local boards can maximize their effectiveness serving Veterans, their families, caregivers and survivors. The findings centered on selecting critical outcome areas that should be addressed within every community. These outcome areas include: outreach; mental health; access to health care; suicide prevention; homelessness; employment; and education. The recommendations also detail the potential roles that local groups can take to facilitate success across these outcome areas. These six roles include serving as a center for information; coordinating the delivery of services to veterans; convening meetings within the community; collecting data for local Veteran-serving organizations; educating community groups on best practices for serving veterans; or serving as a direct leader overseeing community efforts to support veterans. In addition, the task force resource guide outlines the type of data that should be collected and analyzed to monitor the group’s impact within each key outcome area. Members of the Northern Shenandoah Valley Community Veterans Engagement Board. The complete resource guide compiled by the task force is available on the VA website. For more information on the initiative, visit AmericasWarriorPartnership.org/CVEB-Resource-Guide. The Northern Shenandoah Valley Community Veterans Engagement Board maintains a Facebook page, LinkedIn and YouTube that have been kept up to date with relevant and important information.